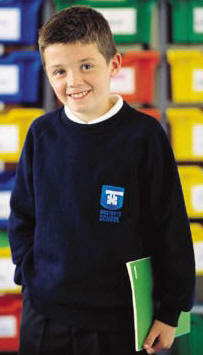 Kids-Biz provide garments from 1 year to adult. However, this size range is not available for every product, and colour so please check individual size details for each item carefully. See also our Baby range for garments to fit smaller than 1 year. How the measurements are taken:Chest - by measuring on a flat surface across the chest of the rainjacket when zipped up; Length - by measuring from the base of the collar at the back of the rainjacket down to the hem; Sleeves - by measuring from the base of the collar at the side across the top of the shoulder and down the outside of the sleeve to the cuff. 3-4 yrs 23" 21/22" 20"
10-12 yrs 32" 32" 28/31"
S* 37" 38" 38" 38"
M* 41" 41" 41" 41"
L* 45" 44" 44" 44"
XL* 49" 47" 47" 47"
2XL* 52/53" 50" 50" 52" 52"